Many students have difficulty completing a written assignment simply because they do not understand the written material associated with it. a learning circle is a strategy to help small groups understand and reflect on written material they may wish to reference in a written assignment or presentation. Please find attached the handouts for use in your session/class. Feel free to use, adapt, or discard as needed! At this session, participants were introduced to a program that teachers can use with their own corpora to make pertinent materials for students. An example of such materials can be found at UGRU/UAEU Concordance. Jan is the Editor of the UAEU Concordance, for which the rationale can be read on the homepage by clicking on the “Rationale” link. The software used can be downloaded to PCs from www.concordancesoftware.com for a 30-day free trial. The UAEU has a licence for perpetual use. Resources available to creators of websites are always going to be limited (particularly in education). Visit these two websites to see several ways of coping with such limitations and still provide users what they need. Mission statement: That no student be prevented from using the site because of his or her limited abilities in either English or IT, and that the material provided on the site supplements more conventional learning rather than trying to replace it. With this workshop, I aim to blur the distinction between “academic” and “creative” writing in the writing center, and share some exercises I’ve used to help students enrich their language and their enjoyment of it. PowerPoint presentation. Starting a Writing Center Wherever You Are: KEEPING TRACK OF DATA: WHY, HOW, WHAT NEXT? 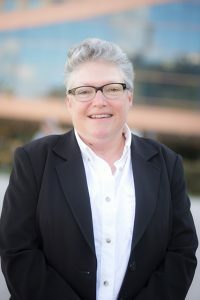 In 2004, new Writing Center Instructor Jean Hodges inherited little for running the Writing Center at Virginia Commonwealth University in Qatar (VCUQatar). This presentation examines why record-keeping is important, explains the manual system of forms, software, and reports that has been evolving at VCUQatar from 2004 to the present, and identifies benefits from record-keeping. The purpose of the presentation is to convince attendees that record-keeping, regardless of what system is used, is a necessary and important part of writing center work. Contains a PDF of a PowerPoint presentation in “View Notes” format, so that you can see the presentation notes and explanations along with the slides. A 12-Step Discovery Program looks at the richness of writing center start-up in the Middle East and offers steps for discovery how to begin, rather than simply telling how to begin. Contains a handout and PowerPoint slides. This presentation presents the value of an effective time-management system and reviews the experience of finding a workable appointment and record-keeping system for the writing center on the campus of the Texas A & M University at Qatar (TAMUQ). Contains a PowerPoint featuring audio interviews with two TAMUQ writing consultants. Our presentation focuses on the challenges experienced by writing center consultants when working with ESL students at the American University of Sharjah. A PowerPoint presentation is included here. MENAWCA peer-tutor trainers have access to American tutor training literature but must develop training programs that address their unique local needs. This presentation demonstrated how a student-centered approach–active inquiry, reflection, and experiential learning–has fashioned a training curriculum that supports American University of Sharjah’s multilingual student body. Jenny Murray, the supervisor, two tutors from the mens’s writing center and one tutor from the women’s writing center, along with a former tutor who is now teaching English in secondary school, show how this writing center is run on a daily basis and the challenges therein; how we work in English and Arabic; what other student projects we run besides writing consulting; and how we are expanding across our campuses and into the hostels.